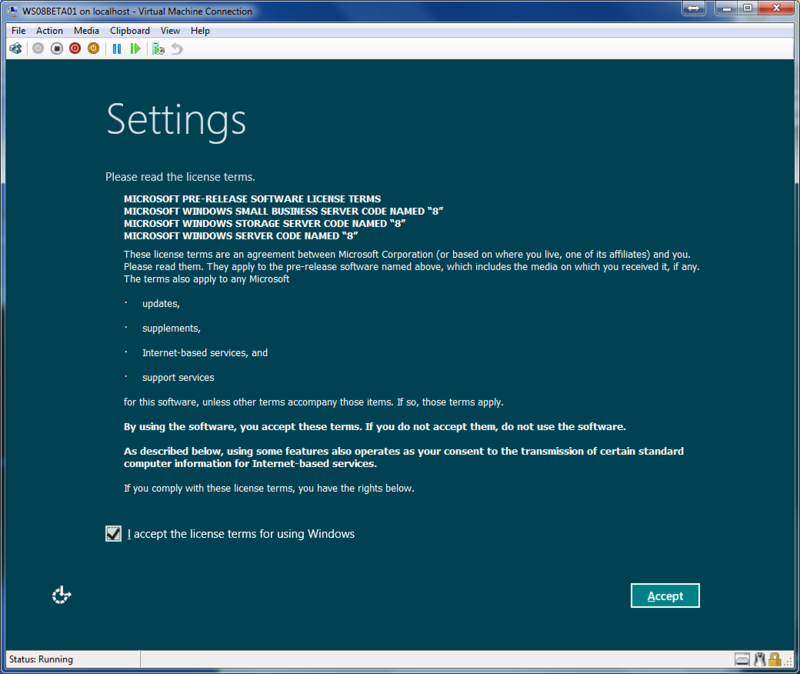 Filed Under Install Windows Server 8 Beta from VHD, Windows Server 8, Windows Server 8 Beta, Windows Server “8” beta available now! 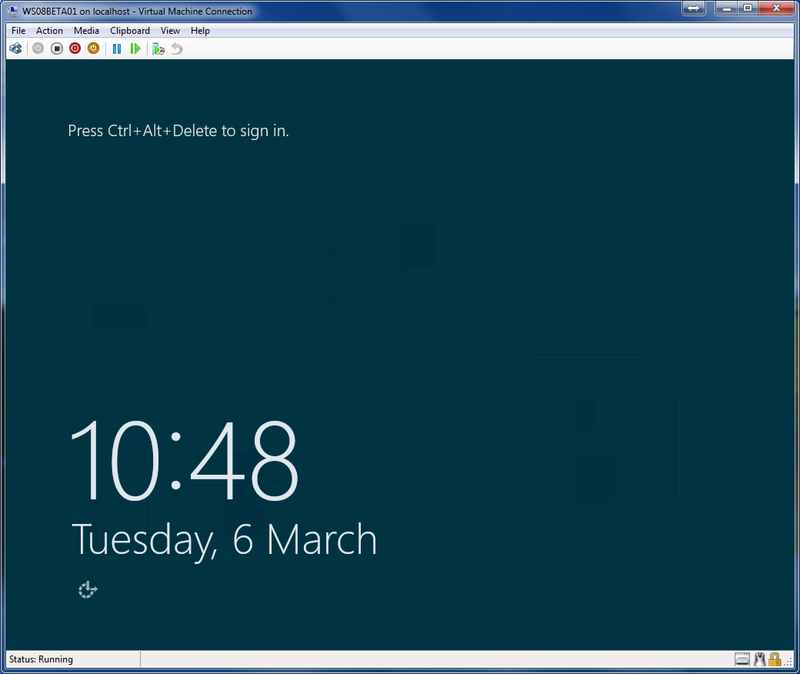 This post will show you how to install Windows Server 8 Beta from a VHD download in a Windows Hyper-V environment. Once your download is complete, double click the executable file, en_windows_server_8_beta_virtual_machine_x64_811819 to extract the VHD file. After successfully extracting the file you’ll have a folder named expandedVHD and in it is the Windows Server 8 Beta virtual hard disk (vhd) file which is around 8GB in size. 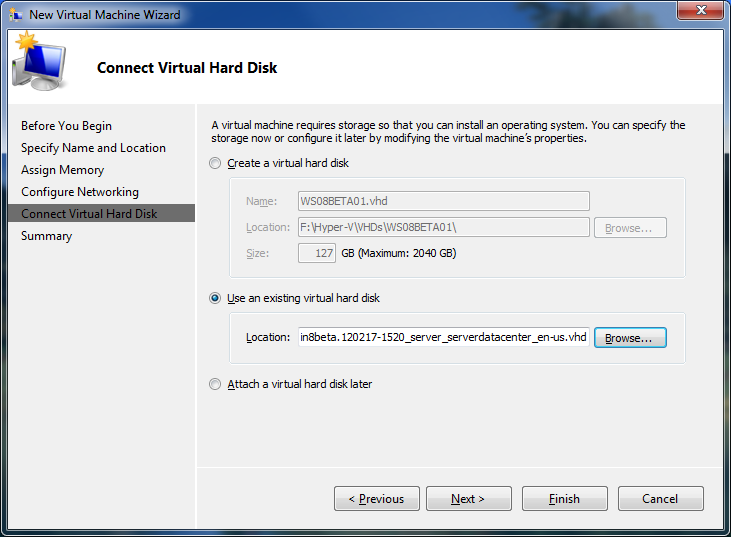 In your Hyper-V Manager create a new Virtual Machine and in the Connect Virtual Hard Disk option, choose the Use an existing virtual hard disk and locate the extracted VHD. 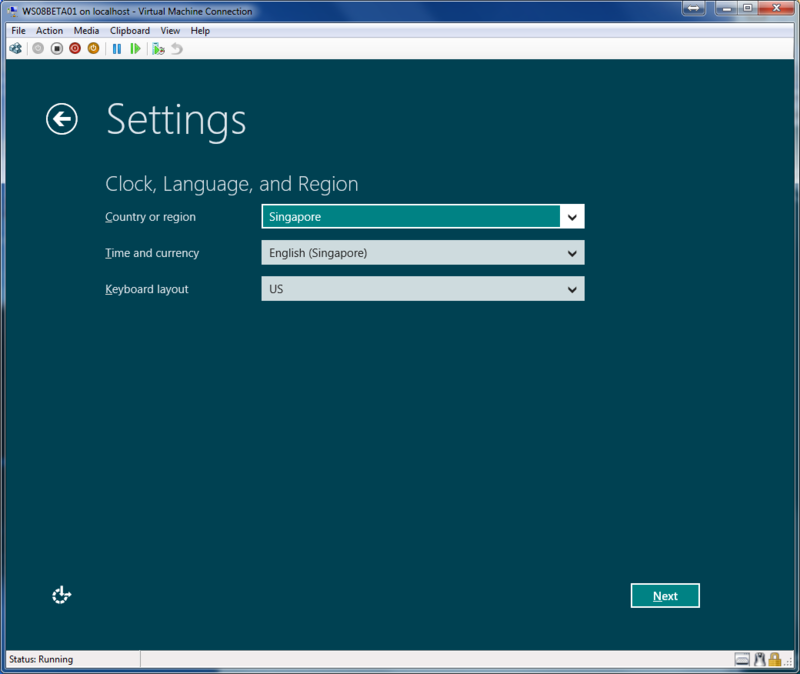 and click the Finish button to complete the creation of your Windows Server 8 Beta VM. 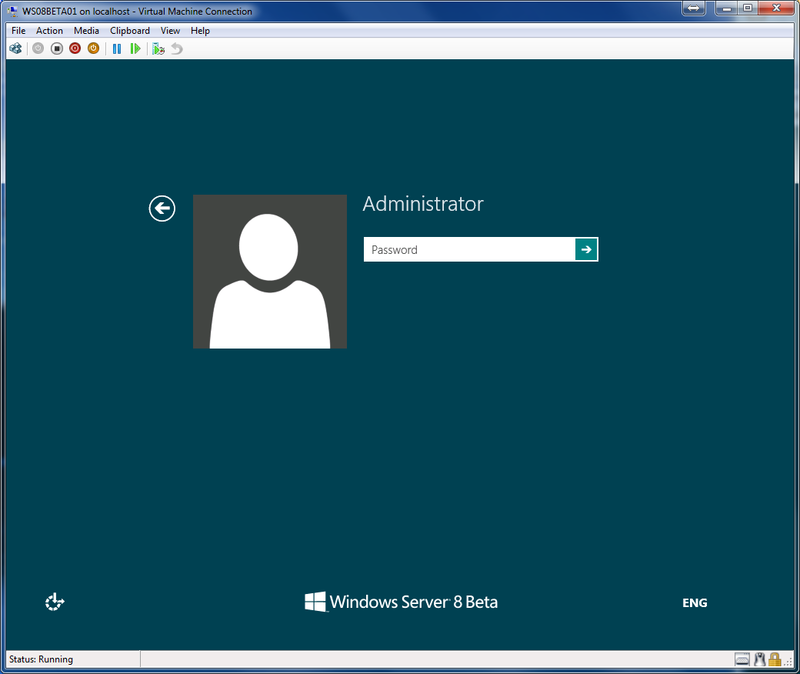 In your Hyper-V Manager start and launch your Windows Server 8 Beta VM. 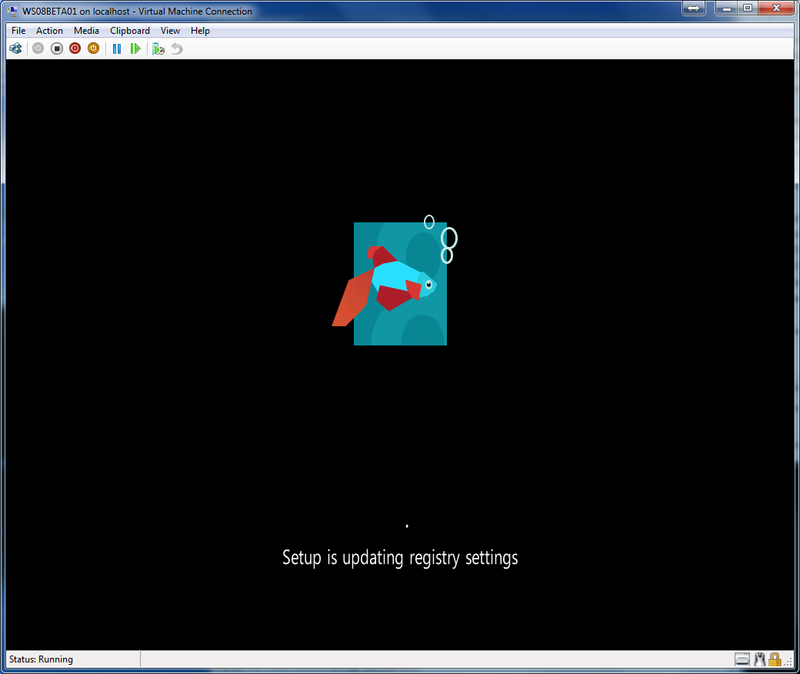 It will take a few minutes to complete the setup of WS08 Beta. After devices are 100% ready the system will restart. In the Settings Window, accept the license terms for using Windows to proceed. Select your Country/Region, Time and currency, and Keyboard layout and click Next. Set an administrator’s password for your server and hit Finish to compete the setup. 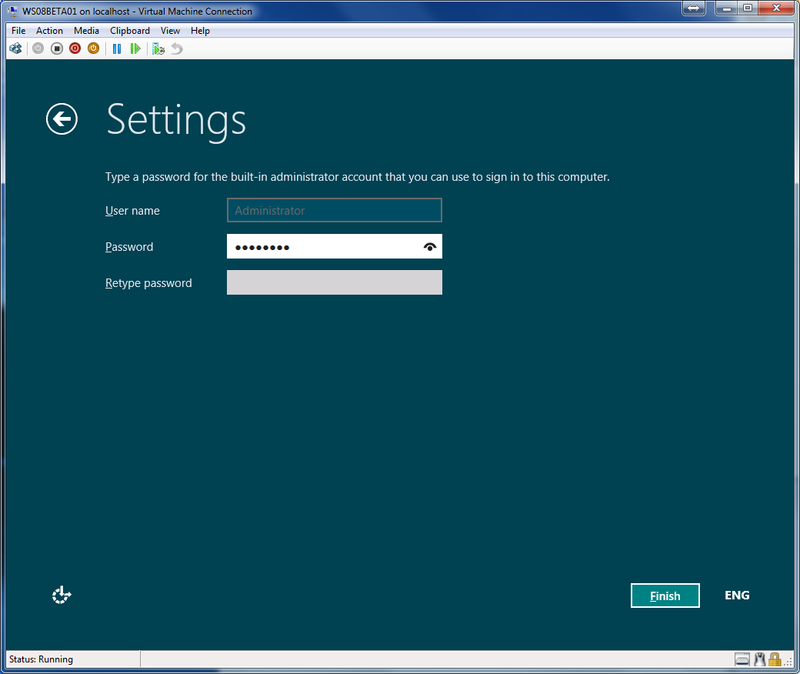 Log in to your Windows Server 8 Beta and don’t forget to activate it. for more information about Windows Server 8 visit the Windows Server Blog: http://blogs.technet.com/b/windowsserver/.